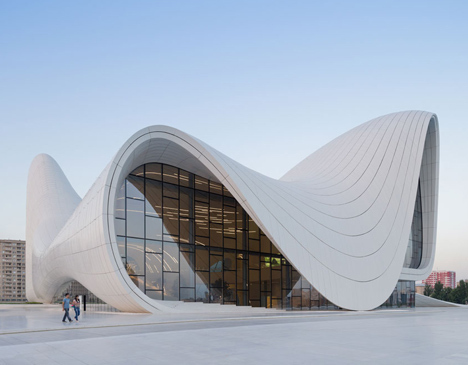 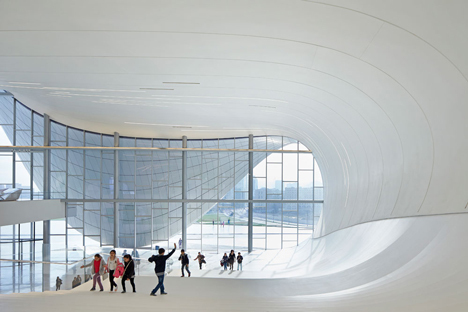 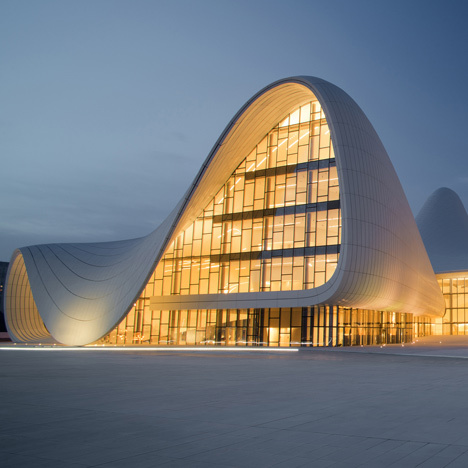 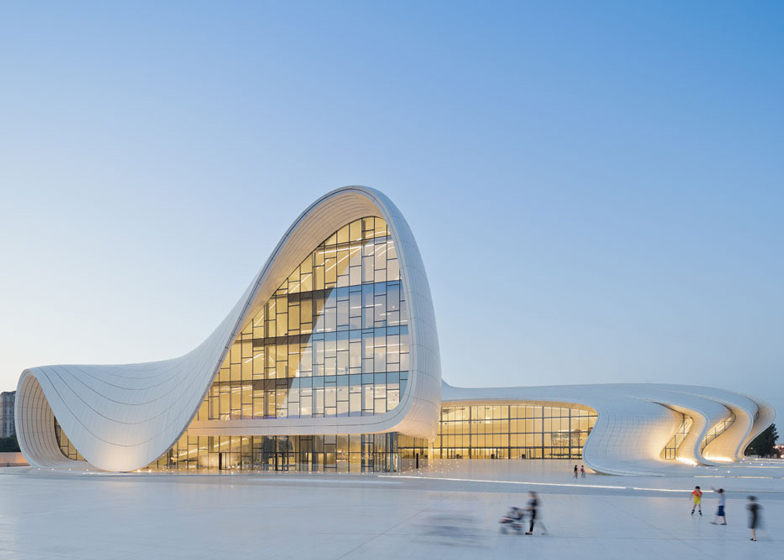 Architect Zaha Hadid‘s undulating Heydar Aliyev Center in Baku has been named Design of the Year by London’s Design Museum in June-2014. 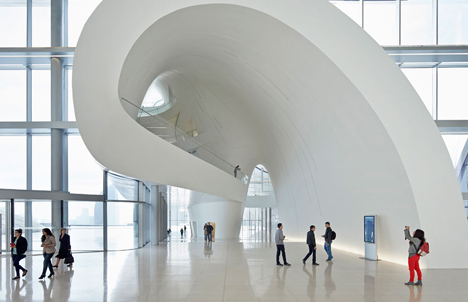 It’s an architectural landscape where concepts of seamless spatial flow are made real – creating a whole new kind of civic space for the city. 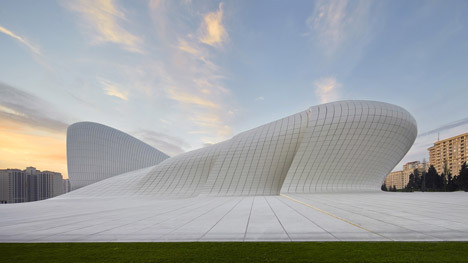 The building was designed to host exhibitions, concerts and other cultural activities beneath the folds of glass-fibre-reinforced concrete panels.